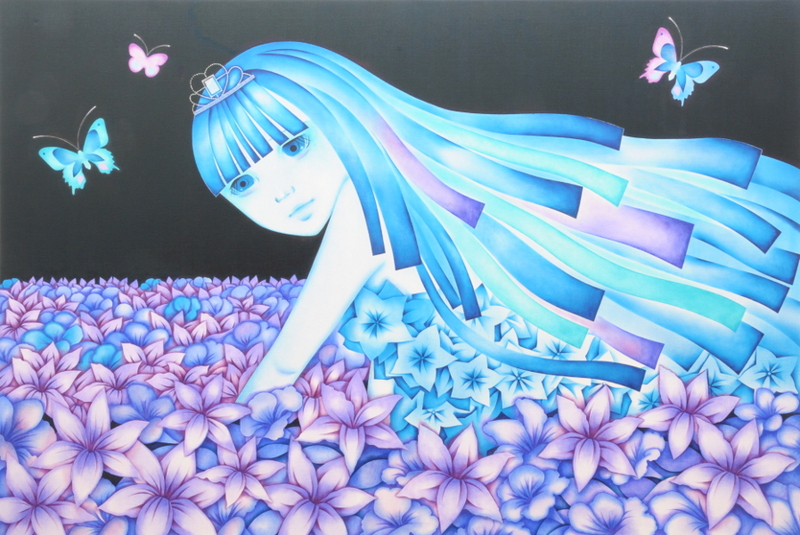 Top　»　Exhibitions　»　Lisa Kohno "eternal flower"
Bambinart Gallery is pleased to announce the solo exhibition of Lisa Kohno from July 31 to August 28. 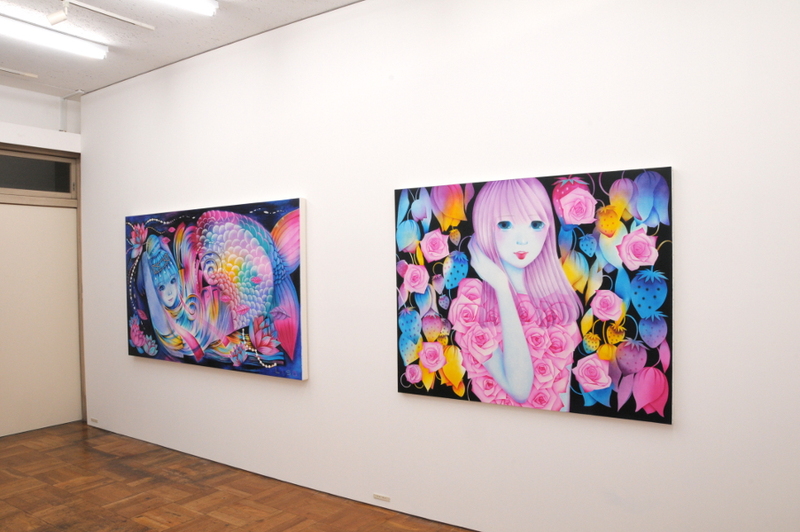 Lisa Kohno won the shu uemura Prize at the "art award tokyo marunouchi 2009" last year. As part of the prize, she designed the package of "shu uemura 2010 A/W mode makeup collection [floscent]" which will line the stores on August 1. In addition, cleansing oil designed under the theme of travel will be launched exclusively on airplanes and duty-free shops in Asian airports this autumn. 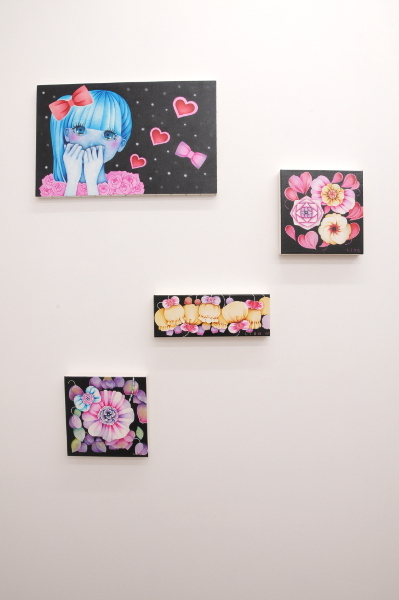 In this exhibition, Lisa Kohno's recent works will be displayed along with the original drawings used for the collaborate makeup goods with shu uemura. 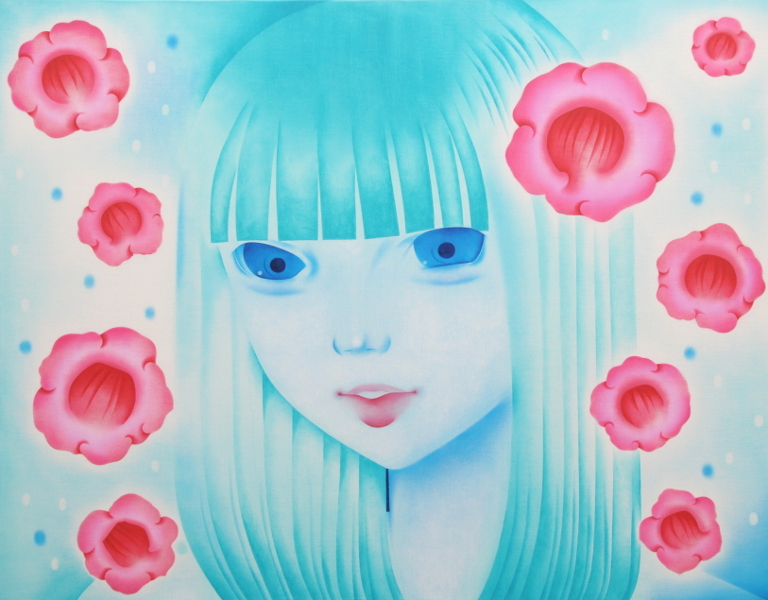 Lisa Kohno depicts her own utopia on to her canvases. Drawing helps her be herself and provides her breathing place and a peace of mind. The women that appear in her works seem like self-portraits, but also seem to personifications of transcendental concepts. 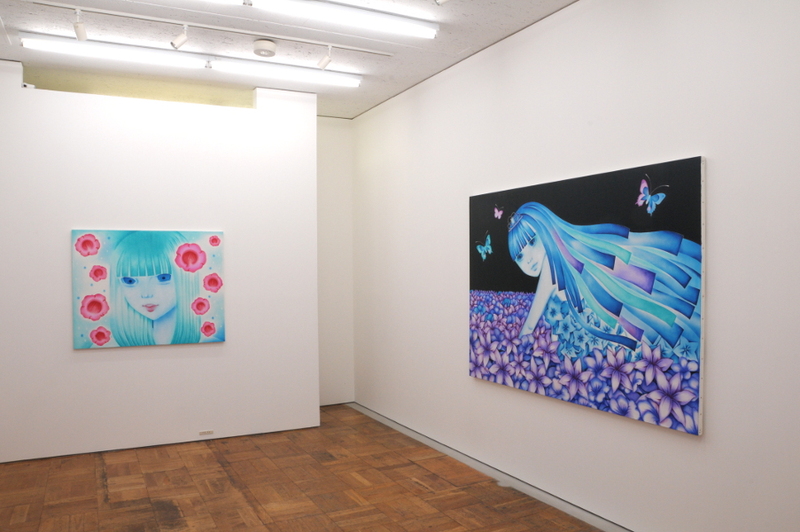 The theme for the exhibition is "eternal flower". 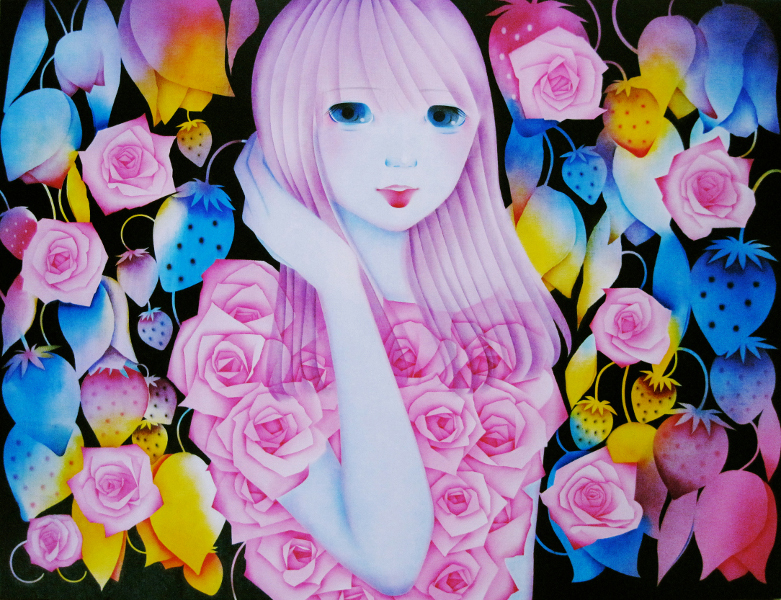 She draws beautiful flowers in eternal full-bloom and translates them also into amorous human figures. Although these flowers and figures are beautiful, they carry with them no warmth as supernatural creatures that have transcendented death. This double-sided essence in her works seems to indicate that attaining immortality is not as great as it seems.